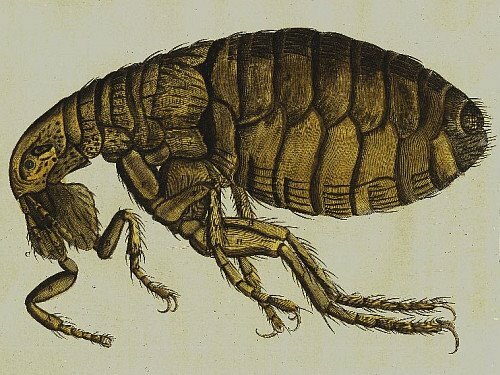 "As Providence is so remarkable in the Propagation and Preservation of Insects, so are they by no means to be esteemed useless Creatures....we are indebted to them for Relief in several Diseases; for all our Honey, Wax, Silk, Best Scarlet....[and] if they be examined by a Microscope, every Particle of them is a perfect Feather, and is placed in the Wing in most exact Order." Eleazar Albin (1680 - 1742) moved to England from Germany in 1707 and continued his work as a professional painter and teacher. He developed a fondness for the natural world, particularly insects and he eventually cultivated a living illustrating private collections for wealthy patrons (including Sir Hans Sloan, a founder of the British Museum). 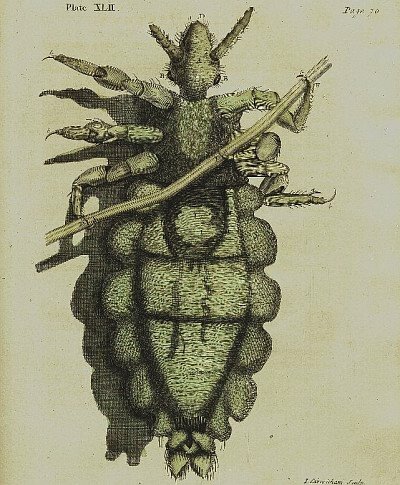 Such was his reputation that Albin was offered an opportunity to illustrate the natural world of the Carolinas in America which he turned down. 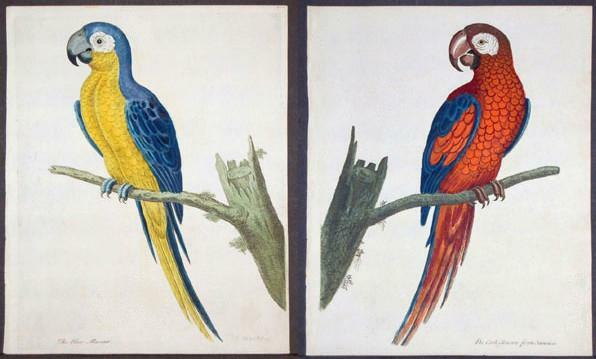 Mark Catesby achieved lasting fame as a natural science artist in his place. 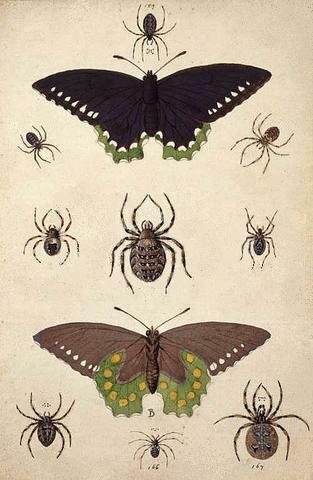 Albin is best known for 3 books: A Natural History of English Insects (1720), A Natural History of Birds (1731-38) and The Natural History of Spiders and other Curious Insects (1736). Examples from all these publications can be seen above. 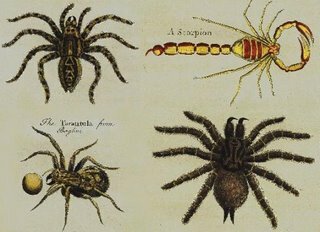 The pervading attitude in the early 18th century was that the study of insects was pointless and unworthy for a person of science. But Albin chose his influences well. It's easy to see from looking at the work of Maria Sibylla Merian and Robert Hooke where Albin derived his inspiration. 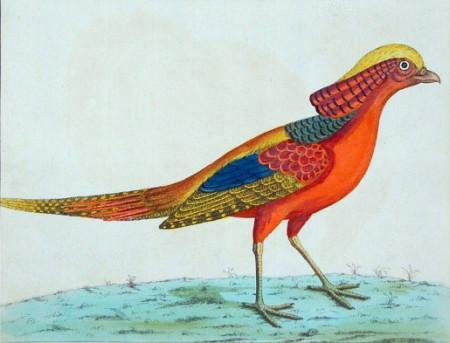 A Natural History of Birds was the first ornithological book to have colour illustrations. Most of the hand-colouring was done by Albin's daughter Elizabeth. Though more artistic than scientific, it was a significant publication that was itself copied and improved upon subsequently. Rare Prints Gallery have ~75 screen size bird illustrations. Antique Nature Prints have a dozen images from the Merian-inspired A Natural History of English Insects. A short Albin biography at Arader Gallery. 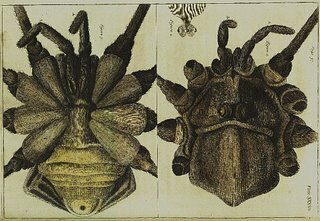 10 insect images from UK's Science and Society Picture Library - watermarked. Another watermarked series of ~40 images at the Natural History Museum in UK. 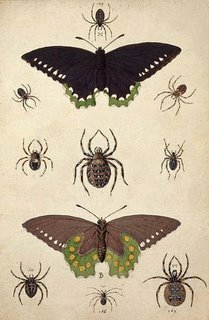 It took me ages to remove the excessive watermarking from the moth/spider image above. They have a strange attitude: they pointedly advise how you can download and keep a picture but they slap a huge, dark logo in the middle of it. Genius. 2 large prints at Panteek. Thanks Maddin. Don't know how I missed that although I originally became interested because of the insect book and just did a roundabout search yesterday. 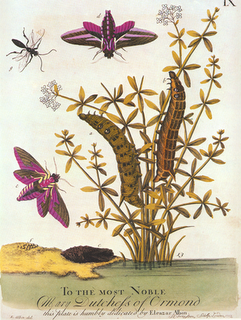 But the Goettingen images are wonderful and large. Cheers! I'm amazed at your blog so excellent. I have introduced some Japanese rare books on my blog. Please visit my blog, if you like. The Portuguese National Library (BN) is full of treasures (take a look at this index of some of the engraved books (a kind of back door to the treasure...). In one of my sites (A Arte Moderna) I have a lot of links, organized by themes (Resources, Images, Museums...), though in Portuguese (the sites are for my students, so this is no commercial intermezzo, but I found no other way to contact you...). I have traced these links and would like to warn everybody that there are a lot of prints offered for sale that are bleached and coloured recently. The Insect book by Albin was printed in 1720 and it was up to the buyer if he wanted to have it coloured or not. (30 Shillings against 3 Guinies). The uncoloured books are cut up and the plates are coloured and sold as originals. Usually the poor quality of the colouring and the whiteness of the paper is a giveaway. Modern colouring is usually harsh and too bright as well.